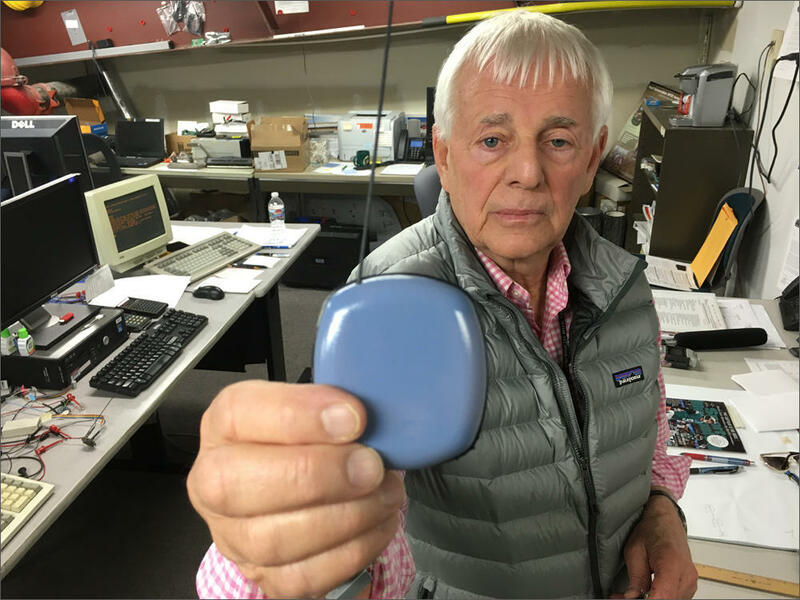 Jim Skorpik developed the gunshot detector for schools at Pacific Northwest National Laboratory in Richland. It uses technology that was first developed to protect missiles. In the wake of school shootings like Sandy Hook and Parkland, everyone from school officials and parents to first responders and politicians have looked for ways to protect children from gunfire. Now sensor technology originally made for missiles is being put to the test. The system was developed by a semi-retired electrical engineer at the Pacific Northwest National Laboratory. 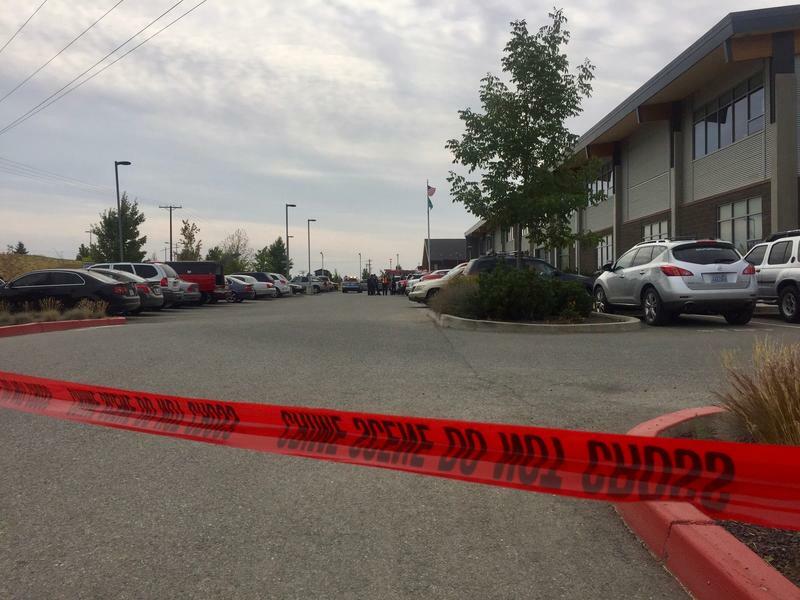 About four years ago, Jim Skorpik's grandchildren experienced a lockdown at their school. It’s not the first or only gunfire locator system. Most are developed for outdoor use by police departments. Pacific Northwest National Laboratory researchers designed the Acoustic Gunshot Detection Technology to be inexpensive. 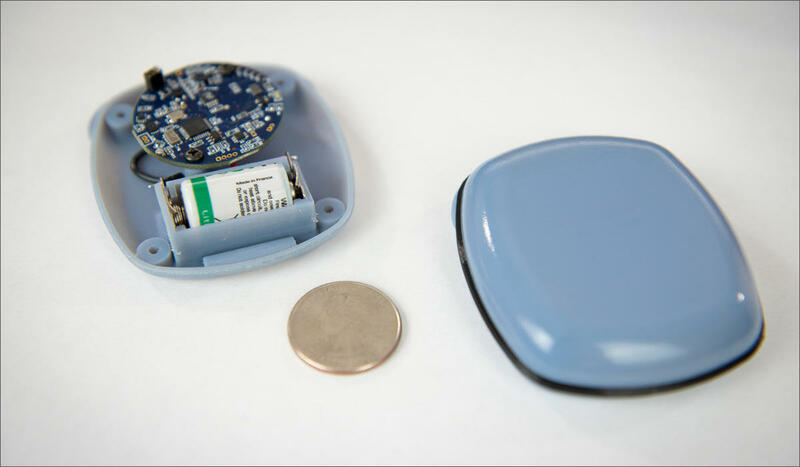 The golf ball-sized sensor contains a Wi-Fi-enabled microcontroller, microphone, and battery. Scott Simer is the facilities manager for the Artesia School District in New Mexico. The district installed a system based on Skorpik's design inside Hermosa Elementary. The gunshot detectors are a little bigger than a pack of chewing gum and use cell phone technology, like microphones. They’re wireless and use batteries. They activate when the energy and sound waves of a bullet sets them off. They then feed information back to a central computer system. Simer said the system is designed to distinguish a loud book dropping to the floor from gun fire. It can alert authorities and train cameras on the area where the shots were fired. The system can even lock doors, sound the building’s PA system and lock perimeter doors automatically all within seconds. Simer believes all this will work if they ever need it. During testing, they tried to fool it. They also had local police shoot real guns at the school during off hours. The alarms went off and the doors locked like they were supposed to. Jennifer Russell is the co-owner of EAGL Technology of Albuquerque. Her company sells the system for $60,000 to $150,000, but installed it at Hermosa Elementary for free to test it. Russell acknowledged concerns that the automatic locking of doors could leave someone vulnerable in a hallway. The idea is to get as many people behind locked doors faster—like teachers and students practice in drills, and do in real lockdowns. The president of the Parent Teacher Organization with Hermosa Elementary said they haven’t had a close look at the new system, but are glad to have anything to help protect kids. Artesia Public Schools now plans to install the detector systems in six more of its schools before classes start again in the fall. And since the Parkland shooting, EAGL Technology said it’s gotten phone calls and emails from other districts and states. 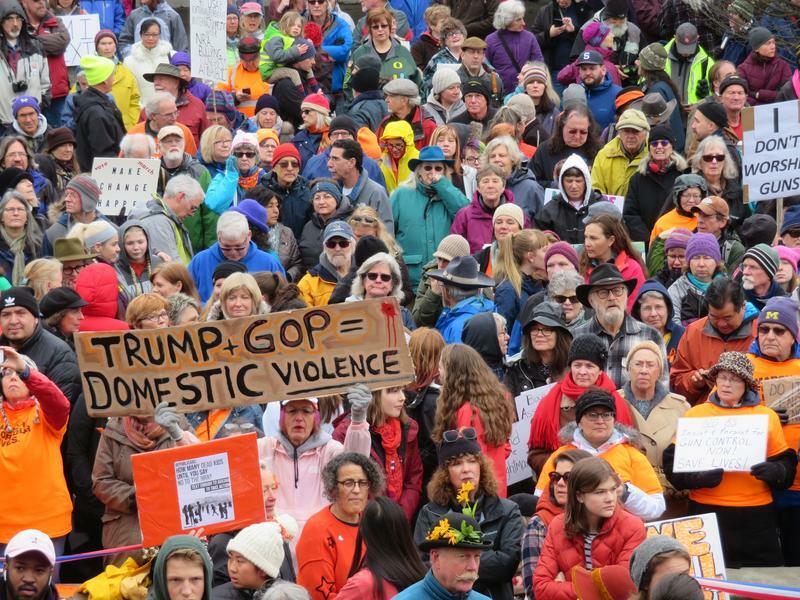 Thousands of people in Seattle, Salem, Tacoma, Olympia, Portland, Eugene, Spokane and other cities and towns in the Pacific Northwest joined nationwide March For Our Lives demonstrations against gun violence on Saturday. 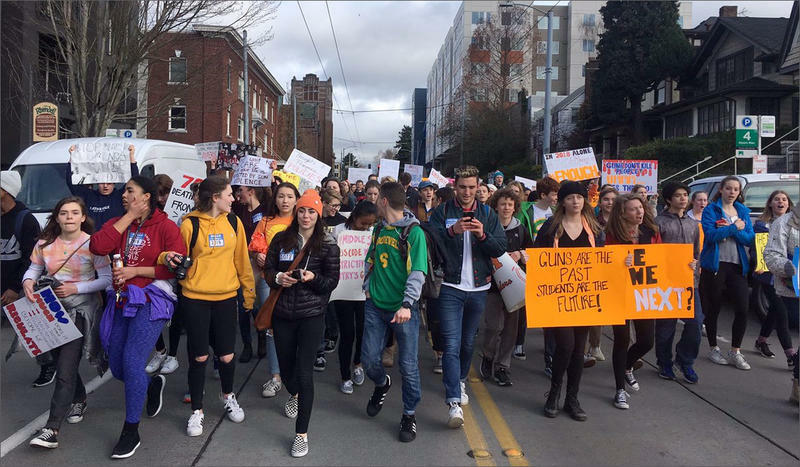 Students from across the Pacific Northwest joined a nationwide walkout today to protest gun violence and to remember the 17 people killed in February's school shooting in Parkland, Florida. After she set her books down in a biology classroom Wednesday morning Kelby Cochrane got hungry. So she asked a friend to go with her to her locker at Freeman High School in Freeman, Washington to grab a snack. On her way back she heard what she later learned were gunshots allegedly fired by schoolmate Caleb Sharpe.